AJ's Deer Valley Real Estate 2016: Investors enter market! Silver Baron Lodge. Strong first 120 days of 2011! Investors enter market! Silver Baron Lodge. Strong first 120 days of 2011! Investors with bags of cash are entering the Park City market, confident of the promising potential of our market. 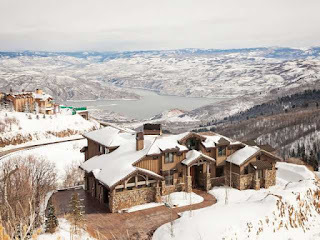 Last week the last 12 developer owned condos at Silver Baron Lodge in lower Deer Valley went back to the bank and came on market. ﻿ Priced from $655k to 1.2m, they caught the eye of more than one investor, and quickly went under contract for sale. At list prices from $440/sf to 600/sf, they didn't appear to be bargains, but cash buyers can negotiate hard, especially when buying multiple units in bulk from a bank! The entire transaction is scheduled to close next week. The investor appears to already have three re-sold! Silver Baron Lodge is a classy, well located lodge property, with a pool, conference facilities, within seconds of the lower DV lifts. 2011: Strong First 120 Days Statistics from the first 1/3 of 2011 are in, with the total number of real estate sales in the Park City mls market up 15% over same period last year! Corresponding dollar volume for the period is down 6%. 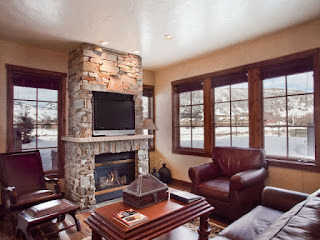 Home sales in the upper Deer Valley area tripled in volume over first 3rd 2010! Condo sales in Old Town/Resort areas were also up nearly 40% in sales volume, with average Old Town condo sales price down 24%. However, not every segment was gangbusters...with home sales in the lower Deer Valley, Prospector, and Silver Springs residential areas off substantially. Barring worldwide economic meltdown, I foresee a good active summer real estate sales season ahead. Deer Crest After a relatively long pause in activity, a ski in/out home in Deer Crest pended last week as well. Listed at $7m. This, along with two recent sales in Bald Eagle, and several in The Colony, underscore the strength of the high end Park City home market.